Join us in-store every Tuesday for special events and offers, as well as exciting giveaways both in-store and throughout social media. From Free Shipping to exculsive rebates to unbelievable markdowns. Come see what fabulous offers await. Reel Legends, a Beall's Exclusive brand, brings you performance clothing designed for an authentic Florida lifestyle. Casual, affordable, and guaranteed to bring color and comfort to every adventure. Leoma Lovegrove designs capture Florida life in colorful style. Inspired by her lush surroundings; tropical color, vibrant tones and brilliant hues are the hallmarks of a Leoma Lovegrove masterpiece. Gloria Vanderbilt represents quality and affordability. Each piece of the collection delivers essential fit, finish and fabric. Gloria Vanderbilt jeans, pants, and tops are trend right and timeless. Bealls Florida was founded in 1915, and includes more than 530 department stores, over 70 in the Florida state area alone. Over the years, generations of families have made Bealls the destination of choice for casual lifestyle and right-priced apparel, as well as home merchandise. Plus, we’re always adding new merchandise to stay on top of the current styles, design trends and customer favorites. It’s easy and convenient to shop online; however, if you’re in the area of a Bealls Florida store, drop on by to see what’s new. Whether you have something specific in mind – or Just left the office! want to casually shop – our Bealls Florida stores can help you find whatever you need. We’re experts on living the Florida lifestyle, with merchandise ranging from active wear, plus sizes, women’s sundresses, juniors, men’s wear, shoes and housewares. We have everything you could need – and then some. Unlike other stores, Bealls Florida specializes in petites, plus sizes, juniors, swimwear, girls’ and boys’ clothing, school uniforms, athletic wear, men’s big and tall, babies and kids, jewelry, footwear, bedding and accessories. Think of Bealls Florida as your one-stop-shop that gives you the best styles, incredible prices and unmatched customer service. Take some time to look through our site or visit your nearest Bealls Florida store. We look forward to serving you! Bealls Day is our way of showing you that we’re listening. Every Tuesday, we are committed to bringing more service, more savings and more excitement to your shopping experience. We will have special events and offers, as well as exciting giveaways both in-store and throughout social media. It has been a pleasure to serve as your Florida headquarters for the past 100 years, and we look forward to bringing you many, many more years of Florida fashion and exciting shopping experiences. Bealls Florida is a privately held company, rich in tradition, still owned by the founding family. 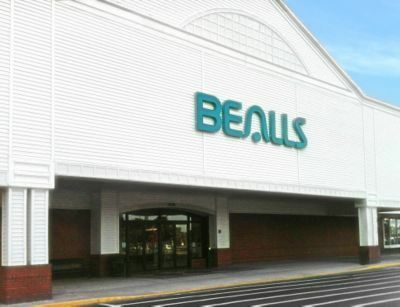 Founded in 1915, Bealls Florida Stores now operates more than 70 store locations in the state of Florida in addition to BeallsFlorida.com. Bealls Florida Stores and BeallsFlorida.com are owned and operated by Beall’s Florida Stores, Inc and Beall’s Westgate Corporation. Copyright2017 Bealls, Inc. All rights reserved.